But we share the view that Jeff Sessions, who resigned at President Donald Trump’s request on Wednesday, has been an outstanding attorney general. He attacked the rampant illegality that riddled our immigration system, breaking the record for prosecution of illegal-entry cases and increasing by 38 percent the prosecution of deported immigrants who re-entered the country illegally. Such numbers are impressive, but just as impressive has been the refocusing of the department’s efforts under Sessions’ leadership to protect the liberties of Americans. 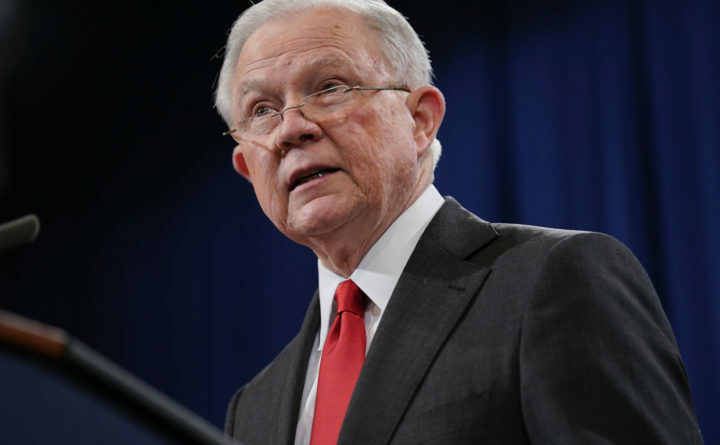 In statements of interest in four cases, the Justice Department served notice that it would act to fulfill Sessions’ commitment to promote and defend “Americans’ first freedom” — the freedom of speech — at public universities, by opposing efforts to impose unconstitutional limitations on speech and speakers who allegedly offended the sensibilities of some on campus. Throughout, Sessions has set an example of personal grace and dignity under enormous pressure. He has remained humble and of good cheer, on good days and bad, and focused on fulfilling the mandate of the administration in which he has served. He has acted always out of concern not for his personal legacy but rather for the legacy of the Justice Department and the rule of law. We salute him for a job well done.